SHOALS (14f, Hussonet, Canny Lad). Equal Leading Older Female on the 2018 WTR (Sprint). Champion 3YO Filly in Australia in 2017-18.7 wins-3 at 2-from 1100m to 1600m to 2017-18, A$2,535,270, VRC Myer Classic, Gr.1, ATC Surround S., Gr.1, SAJC Sangster S., Gr.1, ATC Percy Sykes S., Gr.2, VRC Thoroughbred Breeders S., Gr.3, MVRC Atlantic Jewel S., L, 2d ATC Canterbury S., Gr.1, MRC Thousand Guineas, Gr.1, ATC Premiere S., Gr.2, MRC Thousand Guineas Prelude, Gr.2, 3d MVRC Ian McEwen S., Gr.2. AVANTAGE (15f, Zabeel, Pins). Champion 2YO in NZ in 2017-18. Top filly on the 2017-18 2YO Free H.7 wins-5 at 2-to 1400m to 2018-19, NZ$786,120, A$182,000, Manawatu Sires Produce S., Gr.1, ATC Birthday Card S., Gr.3, Hawkes Bay Gold Trail S., Gr.3, ARC Karaka 2YO Million, RL, CJC Nobby Bussell Memorial 2YO S., ARC NZB Insurance Pearl Series 2YO H., CJC NZB Insurance Pearl Series 2YO H., 2d ARC Diamond S., Gr.1, 3d ATC Arrowfield 3YO Sprint S., Gr.2. UNFORGOTTEN (14f, Galileo, Nureyev). 6 wins from 1250m to 2400m to 2018-19, A$1,555,395, ATC Australian Oaks, Gr.1, Phar Lap S., Gr.2, NSW Tatt's RC Chelmsford S., Gr.2, ATC Schweppes H., CFMEU Mining H., Schweppes P., 2d ATC Vinery Stud S., Gr.1, 3d ATC Queen of the Turf S., Gr.1, Epsom H., Gr.1, Chipping Norton S., Gr.1, 4th ATC Ranvet S., Gr.1. RIVET (14g, Galileo, General Assembly). 3 wins at 2, £228,781, €68,580, HK$1,960,700, Doncaster Racing Post Trophy, Gr.1, Champagne S., Gr.2, York Convivial 2YO S., 2d Newmarket Craven S., Gr.3, HKJC Sha Tin Mile Trophy H., Ascot Crocker Bulteel 2YO S., HKJC King's Park H., 3d Deauville Poule d'Essai des Poulains, Gr.1. AGE OF FIRE (14c, Galileo, Soviet Star). Equal Head of the 2017-18 NZ 3YO Free H.3 wins at 1400m, 1600m in 2017-18, NZ$288,500, A$36,125, WRC Levin Classic, Gr.1, CJC Inglewood Stud Guineas Trial, ARC Shaws Wires Ropes H., 2d New Zealand Two Thousand Guineas, Gr.1, CJC Shearings S., 3d Ashburton RC John Grigg S., Gr.3, ATC Parramatta Cup, L, MRC Lord S., L, Matamata RC Proisir H.
ONE FOOT IN HEAVEN (12g, Peintre Celebre, Alleged). 6 wins from 1900m to 2400m, £21,500, €282,200, A$142,200, HK$1,650,000, Grand Prix de Chantilly, Gr.2, Chantilly Prix du Conseil de Paris, Gr.2, Saint-Cloud Prix d'Hedouville, Gr.3, Maisons-Laffitte Prix Lord Seymour, L, Deauville Prix de Villepelee, 2d Newmarket Jockey Club S., Gr.2, La Coupe de Maisons-Laffitte, Gr.3, ATC St Leger S., 3d HKJC Longines Hong Kong Vase, Gr.1, Chantilly Prix du Conseil de Paris, Gr.2, 4th ATC Hill S., Gr.2, Chantilly Prix Foy, Gr.2, ATC NE Manion H., Gr.3. I CAN FLY (15f, Montjeu, Miswaki). 4 wins-1 at 2-from 7f to 1m to 2019, £269,355, €182,280, Leopardstown Boomerang S., Gr.2, Killarney Ruby S., L, 2d Ascot Queen Elizabeth II S., Gr.1, 3d Leopardstown One Thousand Guineas Trial, Gr.3, Newmarket Oh So Sharp S., Gr.3, 4th Newmarket Sun Chariot S., Gr.1, Galway Corrib S., L.
ANAHEED (16f, Testa Rossa, Anabaa). 3 wins at 2 in 2018-19, A$954,200, ATC Sweet Embrace S., Gr.2, Percy Sykes S., Gr.2, Harrolds Victory Vein P., 4th ATC Reisling S., Gr.2. His sire sons include Hinchinbrook (17), Foxwedge (12), Smart Missile (10), Wanted, Your Song, Rothesay, Stryker, Highly Recommended, Rock 'n' Pop, Curved Ball, etc. Champion Aust. Sire in 2011-12, 2014-15, second in 2012-13, third in 2016-17 & 2017-18. Leading Aust. Sire (worldwide earnings) in 2011-12, 2014-15, 2016-17. Leading Aust. Sire of 3YOs in 2011-12, 2014-15. Leading NZ Sire of 2YOs in 2017-18. Champion Sire in Hong Kong in 2016-17. DANEHILL (USA) (Bay 1986-Stud 1990). 4 wins-1 at 2, Haydock Sprint Cup, Gr.1. Champion Aust. Sire-9 times. Sire of 2083 rnrs, 1623 wnrs, 347 SW, inc. Dylan Thomas (Irish Derby, Gr.1), Elvstroem, Duke of Marmalade, Dane Ripper, Oratorio, Flying Spur, Banks Hill, Desert King, Ha Ha, Arena, Merlene, Nothin' Leica Dane, Danzero, North Light, Blackfriars, Catbird, Rock of Gibraltar, Danewin, Westerner, Laisserfaire, Darci Brahma, George Washington, etc. FASTNET ROCK (c by Danehill (USA)) 6 wins. See below. Montreal. 4 wins to 1200m to 2017-18, ATC Spinalcure 4research H., HKJC Lapis Lazuli H.
Han Xin - Sun Marshal (Sing.) (g Sepoy) 3 wins at 1600m, 2000m, A$131,725, S$79,275, to 2019, MRC Jack Elliott H., Singapore TC Kranji S., 2d BRC Grand Prix S., Gr.3, Singapore TC Kranji S.-twice, 3d MRC Galilee Series Final H., L, Singapore TC Kranji S.
Emancipationist. Winner at 1200m, ATC Bacardi Bar P., 2d ATC Lake Moore H. Producer. Distant Rock (g Medaglia d'Oro) 4 wins from 1400m to 1600m, A$182,080, SAJC IGA H., MRC Hilton Manufacturing H., 2d SAJC Adelaide Guineas, L, MRC Polytrack H., Selangor Turf Club H., 3d MRC Ladbrokes Live Play H., Grand Hotel Frankston H., MVRC SKM Recycling H.
Juggling Act (c by Giant's Causeway (USA)) Champion Imported Horse in Philippines in 2011. 28 wins from 1100m to 2000m in Philippines, Philippine RC Diamond I S., Ambassador Eduardo M Conjuangco Jr Cup, Garnet I S., Opal S., Mayor Nemesio S Yabut III S., Manila JC Opal S., Metro Manila TC Eduardo M Cojuangco Jr Cup, 2d Manila JC Amethyst I S., Peridot S., Metro Manila TC Atty Rodrigo L Salud S., Jockey Elias "Eleng" Ordiales P., Philippine RC Leopoldo L Prieto I S., 3d Manila JC Garnet I S., Peridot S. Sire. Delagos. 8 wins from 1000m to 1600m, A$153,555, ATC Alea Acturial Consulting H.
Top Score. 4 wins at 1100m, 1200m to 2017-18, ATC Bowermans Furniture H., McGrath Estate Agents P., HKJC Sports Club Diamond Jubilee H., Incheon H., 2d HKJC Dorset H., 3d HKJC Ventris H., Chevalier E&M Engineering H.
California Archer. 3 wins to 1300m, A$54,000, HK$2,174,750, to 2018-19, ATC Pluck at Vinery H., HKJC Po Yee H., 2d HKJC Robin H., Sha Tin 40th Anniversary Cup H., Viva Pataca H., Riding for the Disabled H., 3d HKJC Kwoon Chung Jiangmen Express H.
Manasota. 2 wins at 1200m, 1400m, ATC Coca Cola Amatil H., 3d ATC Big Brown First Crop H.
Bombay. Winner at 2, STC Golden Slipper Festival 2YO S., 3d STC True Solutions International 2YO H. Producer. Olympic Flag (c by Encosta de Lago) Winner at 1600m, 2d ATC Australian Turf Club 2YO H., 3d ATC Sydney City Toyota H., Bowermans Office Furniture P.
Theatre of Dreams (g by Danehill (USA)) 2 wins at 1200m, 1400m in Aust. Piccadillies (f by Uncle Mo (USA)) Winner at 1200m in Aust. Champion 3YO colt & sprinter in Australia in 2005. DANEHILL Top of The 1989 European 3YO Classification (1000m - 1300m). 4 wins-1 at 2-at 6f, 7f, £175,923, Haydock Sprint Cup, Gr.1, Royal Ascot Cork & Orrery S., Gr.3, Newmarket European Free H., L, York Convivial 2YO S., 3d Newmarket July Cup, Gr.1, The Two Thousand Guineas, Gr.1, 4th Irish Two Thousand Guineas, Gr.1. He entered stud in Ireland in 1990. He entered stud in Aust. in 1990. Champion Aust. Sire 9 times. Champion GB/Ire. Sire 4 times. Champion French Sire 3 times. Champion Sire in HK. Champion Aust. Broodmare Sire 7 times. Champion GB/Ire. Broodmare Sire in 2015. Leading GB/Ire. Sire of 2YOs 6 times. Leading Aust. Sire of 2YOs 6 times. Champion French & USA Broodmare sire in 2011. Champion Czech Republic Broodmare sire in 2011. Sire of 2083 progeny to race, 1623 winners (77.0%), earnings of over $469 million, 347 stakes winners, 235 stakes placegetters, inc.
ROCK OF GIBRALTAR (99c, Be My Guest, Bold Lad). Horse of the Year & Champion 3YO Colt in Europe in 2002. Champion 3YO Miler in France, GB & Ireland in 2002. Head of The 2002 International 3YO Classification.10 wins-5 at 2-from 1000m to 1600m, £751,213, €409,031, 1,250,000fr., US$214,000, Longchamp Grand Criterium, Gr.1, Royal Ascot St James's Palace S., Gr.1, Goodwood Sussex S., Gr.1, Newmarket Dewhurst S., Gr.1, Irish Two Thousand Guineas, Gr.1, The Two Thousand Guineas, Gr.1, Prix du Moulin de Longchamp, Gr.1, York Gimcrack S., Gr.2, Curragh Railway S., Gr.3, First Flier 2YO S., 2d Breeders' Cup Mile, Gr.1, Doncaster Champagne S., Gr.2. DYLAN THOMAS (03c, Diesis, Mount Hagen). Horse of the Year & Champion Older Horse in Europe in 2007. Champion 3YO in Ireland in 2006 (Long & Stayer). Champion Older Horse in Ireland in 2007 (Intermediate & Long).10 wins-2 at 2-from 1400m to 2400m, £798,263, €3,601,361, US$112,500, Longchamp Prix de l'Arc de Triomphe, Gr.1, Leopardstown Irish Champion S., Gr.1-twice, Ascot King George VI & Queen Elizabeth S., Gr.1, Irish Derby, Gr.1, Longchamp Prix Ganay, Gr.1, Leopardstown Derrinstown Stud Derby Trial S., Gr.2, Curragh Alleged S., L, Leopardstown Irish Breeders Foal Levy 2YO S., 2d York International S., Gr.1, Royal Ascot Prince of Wales's S., Gr.1, Curragh Tattersalls Gold Cup, Gr.1, Salisbury Autumn S., Gr.3, 3d The Derby, Gr.1, 4th York International S., Gr.1, Belmont Jockey Club Gold Cup, Gr.1. DANEWIN (91c, My Swanee, Pieces of Eight). Head of The 1994-95 Australasian 3YO Classification.13 wins-3 at 2-from 1200m to 2000m, A$2,031,636, AJC Spring Champion S., Gr.1, VRC LKS Mackinnon S., Gr.1, STC Rosehill Guineas, Gr.1, 2000m-in track record time, BATC Doomben Cup, Gr.1, VATC Caulfield S., Gr.1, AJC Hobartville S., Gr.2, Royal Sovereign S., Gr.3, STC Frederick Clissold H., Gr.3, GCTC AD Hollindale Cup, Gr.3, AJC Fernhill H., L, Dulcify H., L, Woolaway Woolshed 2YO H., STC Jandson Homes 2YO H., 2d Australian Derby, Gr.1, Victoria Derby, Gr.1, AJC Epsom H., Gr.1, George Main S., Gr.1, Queen Elizabeth S., Gr.1, STC Gloaming S., Gr.2, Orange North Probus Club H., 3d STC Canterbury Guineas, Gr.1, Theo Marks H., Gr.2, 4th STC Peter Pan S., Gr.2. LAISSERFAIRE (96f, Jade Hunter, Century). Champion Older Female Sprinter in South Africa in 2000-01 & 2001-02.12 wins-2 at 2-at 1000m, 1200m, R1,281,010, Kenilworth Cape Flying Championship, Gr.1-twice, Newmarket Computaform Sprint S., Gr.1, Scottsville South African Fillies Sprint S., Gr.1-twice, Kenilworth Sceptre S., Gr.2-twice, Southern Cross S., Gr.3-twice, Kenilworth Fillies Nursery, Gr.3, 2d Kenilworth Prix du Cap, L, Ascot Fillies Nursery S., L, 3d Kenilworth Merchant's S., Gr.2, 4th Kenilworth Merchant's S., Gr.2. WESTERNER (99c, Troy, Bon Mot). Champion Stayer in Europe & France in 2004 & 2005. Champion Older Male Stayer in France in 2003. Champion Older Male Stayer in GB in 2005. Top of The 2005 International 4YO+ Classification (extended).11 wins from 1600m to 4000m, £183,564, €1,243,205, HK$450,000, Longchamp Prix du Cadran, Gr.1-twice, York Gold Cup, Gr.1, Longchamp Prix Royal Oak, Gr.1-twice, Prix Vicomtesse Vigier, Gr.2, Prix Gladiateur, Gr.3, Prix de Barbeville, Gr.3-twice, Prix de la Porte de Madrid, L, Maisons-Laffitte Prix du Coeur Volant, 2d Longchamp Prix de l'Arc de Triomphe, Gr.1, Royal Ascot Gold Cup, Gr.1, Longchamp Prix Vicomtesse Vigier, Gr.2, Deauville Prix Kergorlay, Gr.2, Maisons-Laffitte Prix Maurice de Nieuil, Gr.2, Longchamp Prix Gladiateur, Gr.3, Chantilly Prix de Pontarme, L, Deauville Prix de Tourgeville, L, Longchamp Prix de Champerret, 3d Baden-Baden Grosser Preis von Baden, Gr.1, Saint-Cloud Prix Tantieme, L, 4th Chantilly Prix de la Jonchere, Gr.3. ELVSTROEM (00c, Marscay, Zamazaan). Champion older horse in Australia in 2005. Champion Older Miler in UAE in 2005.10 wins-1 at 2-from 1300m to 2500m, £49,950, €68,560, A$3,916,600, 4,416,000Dhs, Victoria Derby, Gr.1, MRC Caulfield Cup, Gr.1, Underwood S., Gr.1, CF Orr S., Gr.1, Nad al Sheba Dubai Duty Free S., Gr.1, VRC Turnbull S., Gr.2, MRC St George S., Gr.2, Autumn Classic, Gr.2, Guineas Prelude, Gr.3, 2d Longchamp Prix d'Ispahan, Gr.1, VRC Craiglee S., Gr.2, MVRC AAMI Vase, Gr.2, VRC Baguette H., 3d VRC Australian Cup, Gr.1, York Prince of Wales's S., Gr.1, STC Rosehill Guineas, Gr.1, VRC Debonair S., Gr.3, MRC Bletchingly S., Gr.3, 4th VRC Melbourne Cup, Gr.1, Australian Cup, Gr.1, Newbury Lockinge S., Gr.1, Grand Prix de Saint-Cloud, Gr.1. DARCI BRAHMA (02c, Zabeel, Vice Regal). Champion 2YO & 3YO in NZ in 2004-05 & 2005-06. 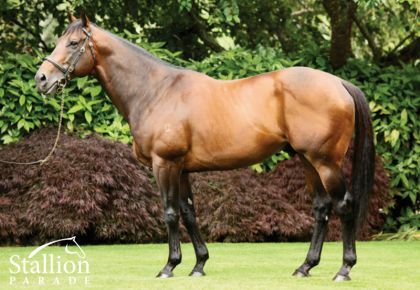 Champion Sprinter in NZ in 2006-07.10 wins-4 at 2-from 1200m to 1600m, NZ$706,500, A$482,475, QTC TJ Smith Classic, Gr.1, WRC Telegraph H., Gr.1, New Zealand Two Thousand Guineas, Gr.1, Waikato Draught Sprint, Gr.1, Otaki Maori RC WFA S., Gr.1, Hawke's Bay Guineas, Gr.2, Wellington Guineas, Gr.2, Matamata RC Slipper S., L, Avondale JC Mondiale Freight 2YO H., Waikato RC Hinuera Lodge Juvenile H., 2d VRC Australian Guineas, Gr.1, ARC Ellerslie Sires' Produce S., Gr.1, Hawkes Bay Mudgway Partsworld S., Gr.1, Stoney Bridge S., Gr.1, Waikato Draught Sprint, Gr.1, 4th QTC Sires' Produce S., Gr.1, STC Phar Lap S., Gr.2. DUKE OF MARMALADE (04c, Kingmambo, Alydar). Champion Older Male in Europe & GB in 2008. Champion Older Male in GB & Ireland in 2008 (Intermediate & Long).6 wins-1 at 2-from 1400m to 2400m, £977,880, €575,754, Ascot King George VI & Queen Elizabeth S., Gr.1, Newmarket International S., Gr.1, Royal Ascot Prince of Wales's S., Gr.1, Curragh Tattersalls Gold Cup, Gr.1, Longchamp Prix Ganay, Gr.1, Curragh Kildare Village 2YO S., 2d Leopardstown Irish Champion S., Gr.1, Royal Ascot St James's Palace S., Gr.1, Goodwood Vintage S., Gr.2, Leopardstown Unicredito Dublin 2YO S., 3d Ascot Queen Elizabeth II S., Gr.1, 4th York International S., Gr.1, Irish Two Thousand Guineas, Gr.1, The Two Thousand Guineas, Gr.1. DANE RIPPER (93f, Sovereign Red, Shifnal). Champion Older Female Sprinter in Australia in 1998-99.12 wins-3 at 2-from 1000m to 2050m, A$3,151,833, MVRC WS Cox P., Gr.1, VRC Australian Cup, Gr.1, MVRC Manikato S., Gr.1, QTC Stradbroke H., Gr.1, VATC Memsie S., Gr.2, St George S., Gr.2, Qld Tatt's RC Winter S., Gr.3, Illawarra 2YO Classic, Gr.3, AJC PJ Bell H., L, STC Domain H., AJC Grey Affair 2YO H., Ruling Ways 2YO H., 2d STC Sheraco P., Jan's Beau H., 3d AJC Challenge S., Gr.2, STC Sweet Embrace S., Gr.3, AJC James HB Carr S., L, STC Civic H., L, Research P.H., BTC Conrad International Hotel H., 4th AJC Expressway S., Gr.2, Kindergarten S., L.
GEORGE WASHINGTON (03c, Alysheba, Tip Moss). Champion 2YO & 3YO Colt in Europe in 2005 & 2006. Champion 2YO Colt in Ireland in 2005. Champion 3YO Miler in GB & Ireland in 2006.6 wins-4 at 2-from 6f to 1m, £404,517, €571,530, Curragh Phoenix S., Gr.1, National S., Gr.1, Ascot Queen Elizabeth II S., Gr.1, The Two Thousand Guineas, Gr.1, Curragh Railway S., Gr.2, Boylesports 2YO S., 2d Irish Two Thousand Guineas, Gr.1, 3d Sandown Eclipse S., Gr.1, Prix du Moulin de Longchamp, Gr.1, Goodwood Celebration Mile, Gr.2, Newmarket Wyck Hall Stud 2YO S., 4th Royal Ascot Queen Anne S., Gr.1. REDOUTE'S CHOICE (96c, Canny Lad, Nijinsky). Champion 3YO Miler in Australia in 1999-2000. Joint Champion 3YO in Aust/NZ in 1999-2000.5 wins-2 at 2-from 1100m to 1600m, A$1,567,850, VATC Blue Diamond S., Gr.1, Caulfield Guineas, Gr.1, CF Orr S., Gr.1, MVRC Manikato S., Gr.1, VATC Veuve Clicquot S., L, 2d MVRC Australia S., Gr.1, 3d VATC Futurity S., Gr.1, Vic Health Cup, Gr.1, 4th VRC Ascot Vale S., Gr.2. PEEPING FAWN (04f, Sadler's Wells, Blushing Groom). Champion 3YO Filly in Europe in 2007.5 wins from 1m to 1½m, £362,494, €484,180, Irish Oaks, Gr.1, Curragh Pretty Polly S., Gr.1, Goodwood Nassau S., Gr.1, Yorkshire Oaks, Gr.1, 2d The Oaks, Gr.1, 3d Irish One Thousand Guineas, Gr.1, Curragh PG Duffy & Sons Citroen S.
TIGER HILL (95c, Appiani, St Chad). Champion 3YO & Older horse in Germany in 1998 & 1999 (Long).10 wins-3 at 2-from 1400m to 2400m, £670,522, 78,579fr., Grosser Preis von Baden, Gr.1-twice, Munich Grosser Preis Dallmayr Bayerisches Zuchtrennen, Gr.1, Cologne Mehl-Mulhens Rennen, Gr.2, Gerling Preis, Gr.2, Munich Grosser Muller Brot Preis, Gr.2, Mülheim Orakel der Dreijahrigen, L, Dortmund Grosser Preis der Spielbank Hohensyburg, Munich Preis der Privatbankiers Merck, Finck & Co, Preis der Privatebankiers Merck, Finck & Co, 2d Grand Prix de Saint-Cloud, Gr.1, Düsseldorf WGZ Bank Deutschland Preis, Gr.1, Baden-Baden Grosser Preis der Baden Airpark, Gr.2, 3d Longchamp Prix de l'Arc de Triomphe, Gr.1. AQUARELLISTE (98f, Manila, Irish River). Champion Older Female Stayer in GB & France in 2002.7 wins from 1900m to 2400m, £37,500, €221,415, 979,000fr., HK$3,000,000, Chantilly Prix de Diane, Gr.1, Longchamp Prix Vermeille, Gr.1, Prix Ganay, Gr.1, Prix Foy, Gr.2, Saint-Cloud Prix Exbury, Gr.3, Chantilly Prix Melisande, L, Longchamp Prix de la Cerisaie, 2d Prix de l'Arc de Triomphe, Gr.1, Hong Kong Vase, Gr.1, 3d Grand Prix de Saint-Cloud, Gr.1, 4th Ascot King George VI & Queen Elizabeth Diamond S., Gr.1. MR MURPHY (97g, Marscay, Showdown). 11 wins from 1000m to 1650m, A$1,500,250, VRC Australian Guineas, Gr.1, VATC Futurity S., Gr.1, Eat Well Live Well Cup, Gr.1, MVRC Alister Clark S., Gr.2, VRC Chester Manifold S., L, Scalzo Food Industries H., Pontormo H., MVRC Wellington Racing Club Trophy H., VATC GH Davey H., 2d VRC Blamey S., Gr.2, VATC Zeditave S., L, VRC Leonard H., Chester H., MRC Anniversary Vase, Members Raceday at Classic Caulfield H., Century H., Ian Miller H., Scobie Breasley H., Arthur Phillip H., VRC Australasia Winter Championship Heat 2, BTC BMW H., Courier-Mail H., 3d MRC Carlton Draught H., 4th MRC TS Carlyon Cup, Gr.3. CHAMPS ELYSEES (03c, Kahyasi, High Line). Horse of the Year in Canada in 2009. Champion Turf Male in Canada in 2009.6 wins from 1700m to 2400m, €202,774, US$2,568,731, Woodbine Northern Dancer Turf S., Gr.1, Canadian International S., Gr.1, Hollywood Turf Cup, Gr.1, Santa Anita San Marcos S., Gr.2, Longchamp Prix d'Hedouville, Gr.3, Prix d'Escoville, 2d Santa Anita H., Gr.1, Hollywood Turf Cup, Gr.1, Milan Gran Premio del Jockey Club, Gr.1, Woodbine Sky Classic S., Gr.2, Hollywood Park Jim Murray Memorial H., Gr.2, Longchamp Prix Maurice de Nieuil, Gr.2, Prix Daphnis, Gr.3, Prix du Prince d'Orange, Gr.3, 3d Woodbine Canadian International S., Gr.1, Santa Anita H., Gr.1, Woodbine Nijinsky S., Gr.2, Grand Prix de Deauville, Gr.2, Maisons-Laffitte Prix Bacchus, Prix Antivari, 4th Woodbine Northern Dancer Turf S., Gr.1. ORATORIO (02c, Vaguely Noble, Alydar). Champion 2YO Colt in France in 2004. Champion 3YO in Ireland in 2005 (Intermediate).6 wins-4 at 2-from 1200m to 2000m, £352,358, €1,036,298, Leopardstown Irish Champion S., Gr.1, Sandown Eclipse S., Gr.1, Longchamp Grand Criterium, Gr.1, Curragh Futurity S., Gr.2, Anglesey S., Gr.3, Boylesports Everyday Specials 2YO S., 2d Curragh Phoenix S., Gr.1, Newmarket Dewhurst S., Gr.1, Irish Two Thousand Guineas, Gr.1, 3d York St James's Palace S., Gr.1, 4th Newmarket Champion S., Gr.1, The Two Thousand Guineas, Gr.1. FLYING SPUR (92c, Mr. Prospector, Sir Ivor). 6 wins-3 at 2-from 1000m to 1600m, A$2,051,090, STC Golden Slipper S., Gr.1, AJC All-Aged S., Gr.1, Australian Guineas, Gr.1, STC Peter Pan S., Gr.2, VATC Blue Diamond Prelude, Gr.3, Street Cafe 2YO H., 2d VATC Blue Diamond S., Gr.1, Futurity S., Gr.1, STC Hill S., Gr.2, AJC Up & Coming S., Gr.3, VATC Zeditave S., L, Rancher H., L, 3d VRC Sires' Produce S., Gr.1, STC George Ryder S., Gr.1. BANKS HILL (98f, Kahyasi, High Line). Champion 3YO Filly in Europe in 2001. Top filly on The 2001 International 3YO Classification. Champion Turf Female in USA in 2001. Champion 3YO Filly in France & GB in 2001 (Int.). Champion Older Female Miler in France in 2002. Champion Older Female in GB in 2002 (Int. ).5 wins-1 at 2-from 1400m to 2000m, £184,100, €285,715, 895,960fr., US$1,068,800, Deauville Prix Jacques Le Marois, Gr.1, Royal Ascot Coronation S., Gr.1, Breeders' Cup Filly & Mare Turf S., Gr.1, Chantilly Prix de Sandringham, Gr.2, Maisons-Laffitte Prix Pearl Cap, 2d Deauville Prix Jacques Le Marois, Gr.1, Longchamp Poule d'Essai des Pouliches, Gr.1, Prix du Moulin de Longchamp, Gr.1-twice, Breeders' Cup Filly & Mare Turf S., Gr.1, 3d Santa Anita Yellow Ribbon S., Gr.1, Royal Ascot Prince of Wales's S., Gr.1, Longchamp Prix d'Ispahan, Gr.1, 4th Hollywood Park Matriarch S., Gr.1, Chantilly Prix d'Angerville, L.
DESERT KING (94c, Nureyev, Bustino). Top of The 1997 International 3YO Classification (Int.). Champion 3YO in Ireland in 1997.5 wins-2 at 2-from 7f to 1½m, £774,182, Irish Derby, Gr.1, Curragh National S., Gr.1, Irish Two Thousand Guineas, Gr.1, Tetrarch S., Gr.3, 2d York International S., Gr.1, Irish Champion S., Gr.1, Curragh Gladness S., Gr.3, Tyros S., L, 4th Royal Ascot St James's Palace S., Gr.1. ZIPPING (01g, Grand Lodge, Law Society). 16 wins-1 at 2-from 1300m to 2500m, A$4,531,195, VRC Australian Cup, Gr.1, Turnbull S., Gr.1, MRC Sandown Classic, Gr.2-4 times, Moonee Valley Gold Cup, Gr.2, VRC HKJC Melbourne Cup Day P., L, MRC Naturalism S., L, VRC Stevie Nicks Welter P., MVRC Ron Davis Carpets H., SAJC Walker Corporation & Daycorp Cup H., MRC Beau Gem H., 2d MVRC WS Cox P., Gr.1-twice, MRC Mick Bolch H., 3d MVRC WS Cox P., Gr.1, VRC LKS Mackinnon S., Gr.1, Turnbull S., Gr.1, Craiglee S., Gr.2-twice, MRC All Shot H., QTC Darley Group H., 4th VRC Melbourne Cup, Gr.1-3 times, Chubb S., L.
INTERCONTINENTAL (00f, Kahyasi, High Line). Champion Turf Female in USA in 2005.13 wins-2 at 2-from 1200m to 2000m, £35,200, €125,270, US$1,863,586, Hollywood Park Matriarch S., Gr.1, Breeders' Cup Filly & Mare Turf S., Gr.1, Keeneland Galaxy S., Gr.2, Belmont Just a Game H., Gr.2, Del Mar Palomar H., Gr.2, Hollywood Park Royal Heroine S., Gr.3, Keeneland Jenny Wiley S., Gr.3-twice, Deauville Prix Amandine, L, Longchamp Prix des Melezes, Deauville Prix de la Potiniere, Maisons-Laffitte Prix Bridaine, Santa Anita Allowance, 2d Belmont Just a Game H., Gr.3, Santa Anita Senator Ken Maddy H., Gr.3, Maisons-Laffitte Prix de la Cochere, L, 3d Del Mar John C Mabee H., Gr.1, Longchamp Grand Criterium, Gr.1, The One Thousand Guineas, Gr.1, Chantilly Prix de Sandringham, Gr.2, 4th Longchamp Prix de la Foret, Gr.1. HA HA (98f, Crown Jester, Without Fear). Champion 2YO & 3YO filly in Australia in 2000-01 & 2001-02.8 wins-3 at 2-from 1100m to 1600m, A$2,989,465, STC Golden Slipper S., Gr.1, AJC Flight S., Gr.1, Apollo S., Gr.2, Silver Shadow S., Gr.2, STC Tea Rose S., Gr.2, Sweet Embrace S., Gr.3, GCTC Magic Millions 3YO Trophy, RL, STC Independent Locksmiths 2YO H., 2d VATC Thousand Guineas, Gr.1, STC Silver Slipper S., Gr.2, AJC Kindergarten S., Gr.3, STC Magic Millions Carnival 2YO H., 3d AJC Sires' Produce S., Gr.1, NSW Tatt's RC Furious S., Gr.3, STC Better Choice Home Loans Welter H., 4th STC Missile S., Gr.3, GCTC Magic Millions 2YO Classic S., RL. EXCEED AND EXCEL (00c, Lomond, Watch Your Step). Champion Sprinter in Australia in 2003-04.7 wins-2 at 2-to 1400m, A$1,282,375, VRC Newmarket H., Gr.1, MRC Invitation S., Gr.1, 1400m-in track record time, AJC Royal Sovereign S., Gr.2, Up & Coming S., Gr.2, STC Todman Slipper Trial S., Gr.2, NSW Tatt's RC Roman Consul S., Gr.3, STC West Tigers 2YO H., 2d Canberra RC Black Opal S., Gr.3. FASTNET ROCK (01c, Royal Academy, Marauding). Champion 3YO colt & sprinter in Australia in 2005.6 wins to 1200m, A$1,724,100, VRC Lightning S., Gr.1, MRC Oakleigh P., Gr.1, VRC Lexus Classic S., Gr.2, AJC Up & Coming S., Gr.2, VRC Rory's Jester P., Gr.3, NSW Tatt's RC Roman Consul S., Gr.3, 2d AJC TJ Smith S., Gr.1, VRC Newmarket H., Gr.1, AJC San Domenico S., Gr.2, STC Pago Pago S., Gr.2, MRC Guineas Prelude, Gr.3, STC Skyline S., Gr.3, Crusoe's Fijian Retreat 2YO H., 3d AJC Sires' Produce S., Gr.1, VRC Poseidon S., L, 4th STC Golden Slipper S., Gr.1, Silver Slipper S., Gr.2. CACIQUE (01c, Kahyasi, High Line). 7 wins from 1400m to 2200m, £23,000, €348,280, US$994,432, Belmont Manhattan H., Gr.1, Man o' War S., Gr.1, Longchamp Prix Daniel Wildenstein, Gr.2, Chantilly Prix du Chemin de Fer du Nord, Gr.3, Prix Daphnis, Gr.3, Longchamp Prix du Vert Galant, Saint-Cloud Prix Sica Boy, 2d Longchamp Grand Prix de Paris, Gr.1, Churchill Downs Turf Classic S., Gr.1, Chantilly Prix Jean Prat, Gr.1, Monmouth United Nations S., Gr.1, Arlington Million S., Gr.1, 3d Longchamp Prix d'Ispahan, Gr.1, 4th York International S., Gr.1, Santa Anita Frank E Kilroe Mile H., Gr.1. ARTISTE ROYAL (01c, Manila, Irish River). 7 wins at 2000m, 2400m, €116,200, US$856,033, Hollywood Park Charles Whittingham Memorial H., Gr.1, Oak Tree Clement L Hirsch Memorial Turf Championship S., Gr.1, Santa Anita San Marcos S., Gr.2, La Coupe de Longchamp, Gr.3, Deauville Prix Ridgway, L, Longchamp Prix du Pre Catelan, Chantilly Prix du Bois d'Enfer, 2d Santa Anita Frank E Kilroe Mile H., Gr.1, Hollywood Park American H., Gr.2, Del Mar H., Gr.2, Hollywood Park Inglewood H., Gr.3, Santa Anita Carleton F Burke H., Gr.3, Longchamp Prix Lord Seymour, L, Prix de Lormoy, Prix Juigne, 3d Churchill Downs Turf Classic S., Gr.1, Hollywood Park Charles Whittingham Memorial H., Gr.1, Santa Anita Clement L Hirsch Memorial Turf Championship S., Gr.1, Hollywood Turf Cup, Gr.1, Santa Anita San Luis Rey H., Gr.2, Arlington H., Gr.3, 4th Del Mar Eddie Read H., Gr.1, Santa Anita Arcadia H., Gr.2, Del Mar H., Gr.2, Longchamp Prix d'Hedouville, Gr.3. ARENA (95c, Tawfiq, Oncidium). 6 wins from 1200m to 2500m, A$2,256,638, Victoria Derby, Gr.1, STC Canterbury Guineas, Gr.1, AJC Hobartville S., Gr.2, STC Gloaming S., Gr.2, Hill S., Gr.2, 2d Australian Derby, Gr.1, STC Mercedes Classic, Gr.1, VRC Australian Cup, Gr.1, STC Ranvet S., Gr.1, AJC Craven P., Gr.3, 3d STC Mercedes Classic, Gr.1, AJC Spring Champion S., Gr.1, STC Rosehill Guineas, Gr.1, AJC Royal Sovereign S., Gr.2, VATC St George S., Gr.2, STC Pago Pago S., Gr.2, VATC Norman Robinson S., Gr.3, STC Skyline S., Gr.3, 4th AJC Sydney Cup, Gr.1, Champagne S., Gr.1, Warwick S., Gr.2, STC Hill S., Gr.2, NSW Tatt's RC Chelmsford S., Gr.2. NOTHIN' LEICA DANE (92c, Sir Tristram, Pretendre). 6 wins from 1400m to 2500m, £8,979, A$1,744,350, Victoria Derby, Gr.1, AJC Spring Champion S., Gr.1, Hobartville S., Gr.2, Dulcify H., L, VATC Norman Robinson S., L, AJC Mulgoa H., 2d VRC Melbourne Cup, Gr.1, AJC Sydney Cup, Gr.1, Metropolitan H., Gr.1, STC Hill S., Gr.2, Longchamp Prix Foy, Gr.3, 3d STC Rosehill Guineas, Gr.1, NSW Tatt's RC Chelmsford S., Gr.2, Newcastle JC Spring S., L, 4th Australian Derby, Gr.1, AJC Warwick S., Gr.2, VATC St George S., Gr.2. MOZART (98c, Spectacular Bid, Graustark). Champion 3YO Male Sprinter in Europe in 2001. Champion 3YO Male Sprinter in GB & Ireland in 2001.5 wins-2 at 2-to 7f, £571,173, Newmarket July Cup, Gr.1, York Nunthorpe S., Gr.1, Royal Ascot Jersey S., Gr.3, Newmarket Tattersalls Houghton Sales 2YO S., Curragh Anheuser Busch 2YO S., 2d Irish Two Thousand Guineas, Gr.1, 3d Curragh Tetrarch S., Gr.3, Leopardstown Two Thousand Guineas Trial, L, 4th Newmarket Dewhurst S., Gr.1. SIMPLY PERFECT (04f, Selkirk, Carwhite). 4 wins-3 at 2-at 6f, 1m, £366,336, €29,175, Ascot Fillies' Mile, Gr.1, Newmarket Falmouth S., Gr.1, York May Hill S., Gr.2, 2d Royal Ascot Queen Mary S., Gr.2, 3d Deauville Prix d'Astarte, Gr.1, The One Thousand Guineas, Gr.1, Ascot Princess Margaret S., Gr.3, 4th Newmarket Sun Chariot S., Gr.1. AUSSIE RULES (03c, Alzao, Crystal Palace). 4 wins-2 at 2-from 1200m to 1600m, £79,984, €277,992, US$372,000, Longchamp Poule d'Essai des Poulains, Gr.1, Keeneland Turf Mile S., Gr.1, Newmarket Somerville Tattersall S., Gr.3, Curragh Netjets 2YO S., 2d Curragh Round Tower S., Gr.3, 4th Sandown Eclipse S., Gr.1, Goodwood Sussex S., Gr.1, Prix du Moulin de Longchamp, Gr.1, Goodwood Vintage S., Gr.2. LANDSEER (99c, Miswaki, Riverman). 4 wins-2 at 2-from 1200m to 1600m, £264,493, €209,890, 320,000fr., US$372,000, Longchamp Poule d'Essai des Poulains, Gr.1, Keeneland Turf Mile S., Gr.1, Royal Ascot Coventry S., Gr.3, 2d Saint-Cloud Criterium International, Gr.1, Royal Ascot St James's Palace S., Gr.1, Newmarket Dewhurst S., Gr.1, Tattersalls Houghton Sales 2YO S., 3d Longchamp Prix de Fontainebleau, Gr.3, 4th Newmarket July Cup, Gr.1. FAIRY KING PRAWN (95g, Twig Moss, Bletchingly). Horse of the Year in Hong Kong in 1999-2000 & 2000-01. Champion Sprinter in Hong Kong in 1998-99, 1999-2000 & 2000-01. Champion Miler in Hong Kong in 1999-2000 & 2000-01.12 wins-1 at 2-from 1000m to 1600m, HK$26,497,587, 97,864,000¥, 1,464,000Dhs, Tokyo Yasuda Kinen, Gr.1, Hong Kong Sprint, L, HKJC Stewards' Cup, L, Bauhinia Sprint Trophy, L, Chairman's Prize, L-twice, Happy Valley Trophy, L, National Day Cup, TVB Cup, Country Club Challenge Cup., Berlin H., 2d Hong Kong Mile, Gr.1, Nad al Sheba Dubai Duty Free S., Gr.2, HKJC Chairman's Prize, L, Sha Tin Vase, L, Centenary Cup, L, Bauhinia Sprint Trophy, L, National Panasonic Cup, Telecom Cup, Sprint Trial Trophy-twice. DRESS TO THRILL (99f, Affirmed, Speak John). 7 wins-1 at 2-from 7f to 9f, £104,746, €136,503, US$487,780, Hollywood Park Matriarch S., Gr.1, Newmarket Sun Chariot S., Gr.2, Leopardstown Desmond S., Gr.3, Matron S., Gr.3, Colonial Downs All Along S., Gr.3, Leopardstown Brownstown Stud S., L, Curragh Tyros S., L, 2d Curragh Moyglare Stud S., Gr.1, 4th Belmont Flower Bowl S., Gr.1. AQUA D'AMORE (01f, Irish River, Tap on Wood). 9 wins-1 at 2-from 1200m to 2400m, A$1,936,850, MRC Futurity S., Gr.1, AJC Villiers S., Gr.2, Summer Cup, Gr.3, MRC Eclipse S., Gr.3, AJC Abbeville H., STC Hyland Race Colours H., Platamonas H., 2d AJC Queen Elizabeth S., Gr.1, MRC Caulfield Cup, Gr.1, Northwood Plume S., L, AJC Smith & Nephew Oxinium H., 3d VRC LKS Mackinnon S., Gr.1, Turnbull S., Gr.1, MRC CF Orr S., Gr.1, VRC Matriarch S., Gr.2, NSW Tatt's RC Chelmsford S., Gr.2, MRC St George S., Gr.2, BTC Classic, Gr.3, 4th MVRC WS Cox P., Gr.1, AJC Doncaster H., Gr.1, VRC Australian Cup, Gr.1, BTC Rough Habit P., L.
PUNCTILIOUS (01f, Roberto, Nijinsky). 6 wins-2 at 2-from 7f to 1½m, £357,533, €77,204, US$150,337, Yorkshire Oaks, Gr.1, Royal Ascot Ribblesdale S., Gr.2, York Musidora S., Gr.3, Newbury Chalice S., L, 2d Woodbine EP Taylor S., Gr.1, Irish Oaks, Gr.1, 3d Ascot Fillies Mile, Gr.1, The Oaks, Gr.1, 4th Yorkshire Oaks, Gr.1, Doncaster Park Hill S., Gr.2. DANASINGA (91c, Ahonoora, Princely Gift). 6 wins from 1000m to 1600m, A$1,135,550, QTC Stradbroke H., Gr.1, VATC Schweppes Cup, L, Sandown Park UK S., L, STC Darby Munro S., L, VATC Bond H., MVRC Toy Factory H., 2d AJC Doncaster H., Gr.1, BATC Doomben Cup, Gr.1, QTC Grand Prix S., Gr.2, BATC Courier-Mail Classic S., L, VATC New Gleam H., 3d MVRC Shaftesbury Avenue H., 4th AJC Queen Elizabeth S., Gr.1. PLATINUM SCISSORS (99c, Canny Lad, Nijinsky). 5 wins from 1400m to 2000m, A$982,800, AJC Spring Champion S., Gr.1, MRC Norman Robinson S., Gr.2, GCTC AD Hollindale S., Gr.2, Newcastle JC Newmarket H., L, AJC Eastlakes H., 2d BTC Doomben Cup, Gr.1, NSW Tatt's RC Chelmsford S., Gr.2-twice, STC Tulloch S., Gr.2, Hill S., Gr.2, Gloaming S., Gr.2, BTC Labour Day Cup, Gr.3, 4th AJC George Main S., Gr.1, STC George Ryder S., Gr.1, MRC Yalumba S., Gr.1, QTC PJ O'Shea S., Gr.2, STC Phar Lap S., Gr.2. DANELAGH (95f, Semipalatinsk, Rascolnik). 4 wins-2 at 2-to 1400m, A$887,400, VATC Blue Diamond S., Gr.1, VRC Shamrock Travel H., L, VATC Tranquil Star S., L, MVRC William Crockett S., L, 2d VATC One Thousand Guineas, Gr.1, STC Reisling Slipper Trial S., Gr.2, VATC Gwyn Nursery S., L, 3d MVRC AAMI Vase, Gr.2, 4th MVRC Anthea Crawford S., Gr.2, VRC Vanity S., L, VATC Schweppes Cup, L.
LUCKY OWNERS (99c, Kaapstad, Day is Done). Champion Miler in Hong Kong in 2003-04.8 wins from 1400m to 2000m, HK$23,718,900, Hong Kong Mile, Gr.1, HKJC International Mile Trial H., L, Mercedes-Benz Hong Kong Derby, L, Fukushima H., Fashion H., Lok Fu H., Ho Pui H., Connaught H., 2d Mercedes-Benz Hong Kong Classic Mile, L, HKJC Sha Tin Silver Jubilee Cup, Kowloon Cricket Club Challenge Cup, Yan Oi Tong Cup. CAMARENA (95f, Marscay, Lunchtime). 9 wins-1 at 2-from 1050m to 2400m, A$938,610, Queensland Derby, Gr.1, Queensland Guineas, Gr.2, AJC Reginald Allen H., L, 2d VRC LKS Mackinnon S., Gr.1, AJC Flight S., Gr.1, VATC Eat Well Live Well Cup, Gr.1, GCTC AD Hollindale S., Gr.2, Qld Tatt's RC Tattersall's Cup, Gr.3, MVRC WH Stocks S., Gr.3, QTC Reckless H., L, 3d AJC Australian Oaks, Gr.1, STC Ansett Australia S., Gr.1, QTC Grand Prix S., Gr.2, Sir Byrne Hart S., Gr.2, 4th ACT RC Black Opal S., Gr.2. EMERALD DREAM (96f, Sackford, My Swanee). 7 wins from 1200m to 2000m, NZ$209,275, A$7,000, Waikato RC International S., Gr.1, BOP RC Thames Valley S., Gr.3, ARC Great Northern Challenge S., L, Ellerslie Function Centre H., Lindauer H., Counties RC IRT Bas H., 2d ARC New Zealand S., Gr.1, Waikato RC Gasmate S., Gr.3, Hawke's Bay Guineas, Gr.3, Waikato RC Guineas Trial, ARC Prized H., Sunday Star-Times Fashions in the Field H., Dunstan Stayers Championship Qualifier, 3d ARC Lion Red Calendar H., Lion Red Hotel Challenge H., BOP RC Fahys Motor Inn & Cobb & Co H., Viking Distributors H.
ARLINGTON ROAD (98g, Vain, Seventh Hussar). 5 wins-1 at 2-from 1100m to 2000m, A$656,710, AJC All Aged S., Gr.1, STC Phar Lap S., Gr.2, AJC Frank Packer P., Gr.3, Reading 2YO H., MVRC Membership Special Offer H., 2d AJC Epona S., L, NSW Tatt's RC Tattersall's Club Cup, L, AJC Silver Sharpe H., 3d QTC Grand Prix S., Gr.2, STC Moet & Chandon S., L, Frank Underwood Cup, L, VATC Beau Sovereign H., 4th AJC Villiers S., Gr.2. DANISH (91f, Sassafras, Be Friendly). 6 wins-1 at 2-from 1200m to 1800m, £519,550, 216,000fr., Keeneland Queen Elizabeth II Challenge Cup, Gr.1, Saratoga Breeders' Cup H., Gr.3, La Teste Prix La Sorellina, L, Calder My Charmer H., L, Leopardstown Goodbody's Stockbrokers Fillies 2YO S., 2d Belmont Flower Bowl H., Gr.1, Sheepshead Bay H., Gr.2, New York H., Gr.2-twice, Saratoga Diana H., Gr.2, Gulfstream Park Buckram Oak H., Gr.3, Leopardstown Silver Flash S., L, 3d Belmont Flower Bowl H., Gr.1, Deauville Prix de la Nonette, Gr.3, 4th Curragh Tyros S., L.
PROMISING LEAD (04f, Kahyasi, High Line). Champion Older Female in GB & Ireland in 2008 (Int. ).4 wins from 7f to 10½f, £64,505, €207,139, Curragh Pretty Polly S., Gr.1, York Middleton S., Gr.3, Salisbury Upavon S., L, Newbury Bridget S., 2d Longchamp Prix de l'Opera, Gr.1, York Michael Seely Memorial S., L, 4th Newcastle Hoppings S., L.
LUAS LINE (02f, In the Wings, Kalamoun). 4 wins-1 at 2-from 6f to 9½f, £5,122, €157,856, US$315,000, Belmont Garden City S., Gr.1, Cork Platinum S., L, Gowran Park Denny Cordell Lavarack Memorial S., L, 2d Curragh Debutante S., Gr.2, 3d Irish One Thousand Guineas, Gr.1, Hollywood Park Cash Call Invitational S., Gr.3, 4th Hollywood Park American Oaks, Gr.1, Leopardstown Glencairn S., L.
His sire sons include Danehill Dancer (173), Redoute's Choice (164), Exceed and Excel (156), Fastnet Rock (145), Dansili (133), Rock of Gibraltar (130), Flying Spur (99), Holy Roman Emperor (80), Commands (78), Oratorio (54), Kodiac (50), Tiger Hill (49), Danzero (40), Blackfriars (39), Darci Brahma (38), etc. 10 million dollar yearlings since the start of 2015!